A shock of white in a sea of tears. 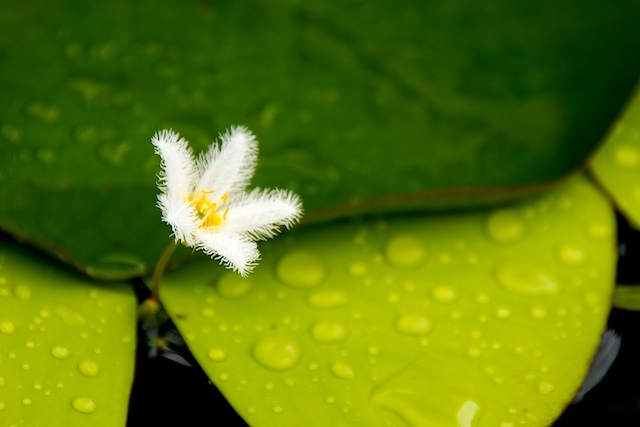 The tiny water lily flower emerges from the black. We contemplate Roger's grief, try to share his burden, and gain a crystal clear understanding of the triviality of our own concerns of the past months. I do not need to know to what you refer, to have an appreciation of walking in the shoes of others.